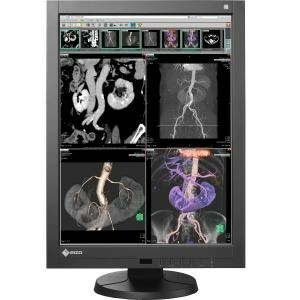 Eizo RadiForce RX340 21.2" LED LCD Monitor - 22 ms - Adjustable Display Angle - 1536 x 2048 - 1.07 Billion Colors - 1000 Nit - 1,400:1 - DVI - VGA - USB - 125 W - Black - China RoHS, WEEE, RoHS. 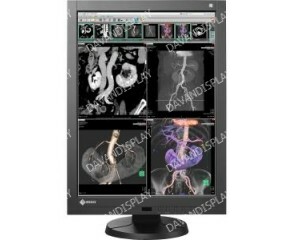 3 megapixel high-brightness color monitor ideal for accurate display of chest X-ray, CR and DR grayscale images and color images such as 3D color rendering and image fusion. High-definition and multifunctional model featuring precise calibration compliant with the DICOM Part 14 standard.